Features detailed profiles of more than 1,100 operating hotels and 110 hotels in development. Hotel Market Databook by BuildCentral, Inc.
“Hotel Market Databook is critical for staying on top of industry developments,” said Jonathan Lopez, project manager with Creo Hospitality. BuildCentral, Inc., a leading hospitality research firm, today announced the release of the Hotel Market Databook for Chicago and Los Angeles. Available through HotelMarketData.com, the Databook is a sales, competitive and market analysis tool detailing the inner-workings of both operating hotels and those in the developmental stages. The Databook is used by vendors and service providers to identify sales opportunities, by hotel professionals to keep track of current and future competition and by financial professionals to analyze markets. Each hotel, currently operating or in development, is presented in-depth in the Databook, a process that included thousands of interviews with decision-makers to ensure accuracy and provide exclusive insight. Chicago’s Databook profiles 534 operating hotels and 67 hotels in various stages of development. Los Angeles’ Databook profiles 643 operating hotels and 54 hotels in development. Additional markets will be released throughout the year. About HotelMarketData.com and BuildCentral, Inc.
HotelMarketData.com, a service of Chicago-based BuildCentral, provides publications and online database products for the hospitality market. More than 3,000 companies rely on BuildCentral as a resource to discover new sales opportunities and analyze companies and markets. 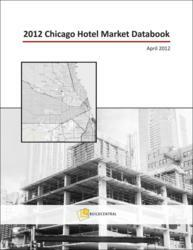 For information on the Hotel Market Databook, visit http://www.hotelmarketdata.com or call 866-316-5300.